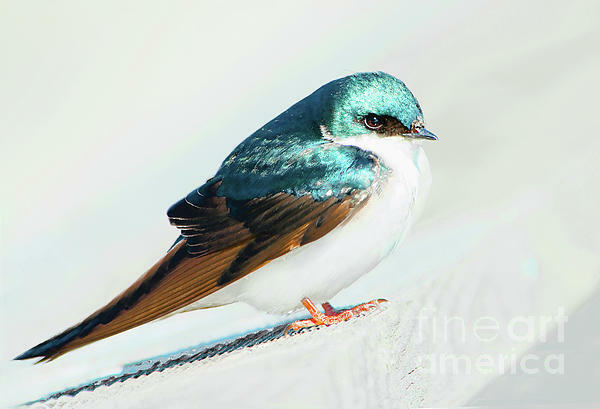 Thank you very much Digital Designs for featuring "Tree Swallow" in your group FAA Portraits. Thanks very much William for featuring "Tree Swallow" in your group Wild Birds of the World. Congratulations Regina, your work is Featured in "A Birding Group - Wings"! 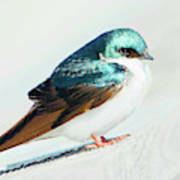 Thanks very much Don for featuring "Tree Swallow" in your group A Birding Group-Wings. Thank you for commenting Maggie. Thank you Lilia for featuring "Tree Swallow" in your new group Bird Watchers. Thanks very much Darby. I appreciate your kind comment. Thank you once more Stephen for your comment and support. What a very pretty bird - the iridescent aqua on the head and back is just beautiful. I like the way the background has been reduced to almost nothing. One of my two Picks of the Day in the Best of Minimalism in Photography group for July 12. Fabulous work! Love this! v/f and my Pick of the Day in the Best of Minimalism in Photography group discussion. Thank you so much Lenore - what a lovely recognition. 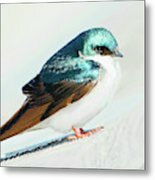 Thank you Dawn for featuring "Tree Swallow" in your group I Love Nature Photography. Thank you Robyn for featuring "Tree Swallow" in your group The World We See. 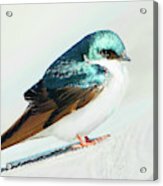 Thank you Mariola for featuring "Tree Swallow" in your Wildlife ONE A DAY group. Wonderful image, Regina. Love the colors and detail. Tree Swallow by Regina Geoghan. A photograph of a tree swallow(Tachycineta bicolor) sitting on a rail in muted sunlight on a cloudy day after a brief spring snow shower. .